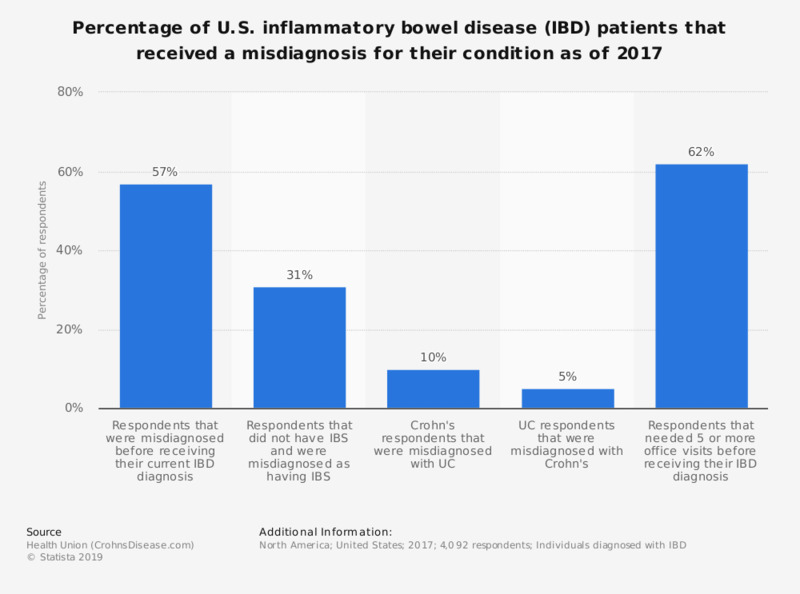 This statistic displays the percentage of individuals diagnosed with inflammatory bowel disease (IBD) in the United States that received a misdiagnosis for their condition or had trouble receiving the correct diagnosis for their condition as of 2017. According to the survey, 62 percent of respondents had to visit their doctor's office five or more times before they received the correct diagnosis for their IBD. IBD is a term that can be used to describe two chronic conditions that involve inflammation of the gut, ulcerative colitis and Crohn's disease.